“Unlock the Speed”—OnePlus’ slogan for the OnePlus 6T, which was just announced today. It’s a catchy phrase with a clear double meaning. The in-display fingerprint scanner on the OnePlus 6T is fast, and so is the phone itself. You can quickly unlock the OnePlus 6T with the new scanner and get straight to work, or play, on one of the fastest Android smartphones out there. We’ve come to expect flagship specifications at a great value for several years now, but as the prices of OnePlus smartphones continue to increase, can their improvements in build quality, software experience, and features justify the cost? A delightful, nearly bezel-less experience. 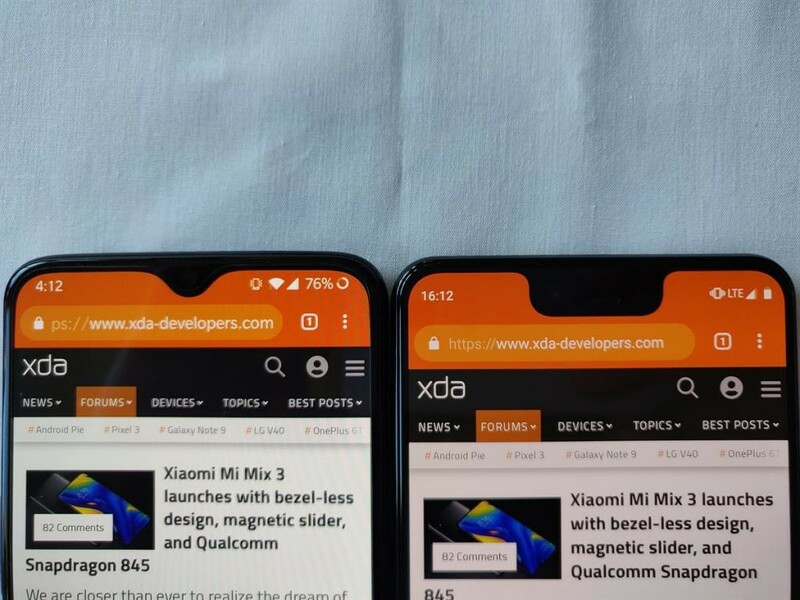 Coming from the OnePlus 6, it’s shocking how noticeable the 2% increase in screen-to-body ratio actually is. The bottom bezels are slimmer and so is the notch. 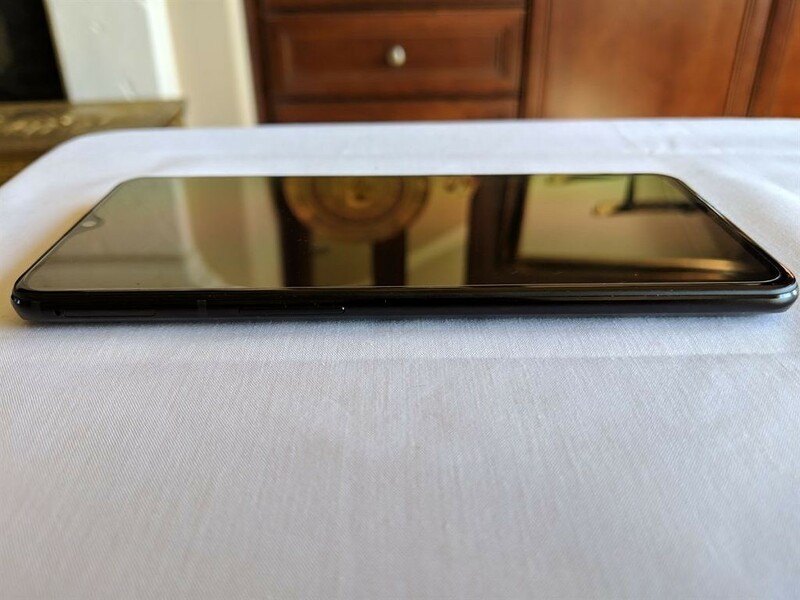 Speaking of the so-called “waterdrop” notch, it’s oddly aesthetically pleasing. I’m usually a “hide the notch” guy (we made Nacho Notch, after all), but so far I haven’t been hiding the OnePlus 6T’s notch. We’ve now come full circle since the Essential Phone was the first major Android phone with a notch, and that had a tiny one too! OnePlus again nails the build quality—making glass not really feel like glass. 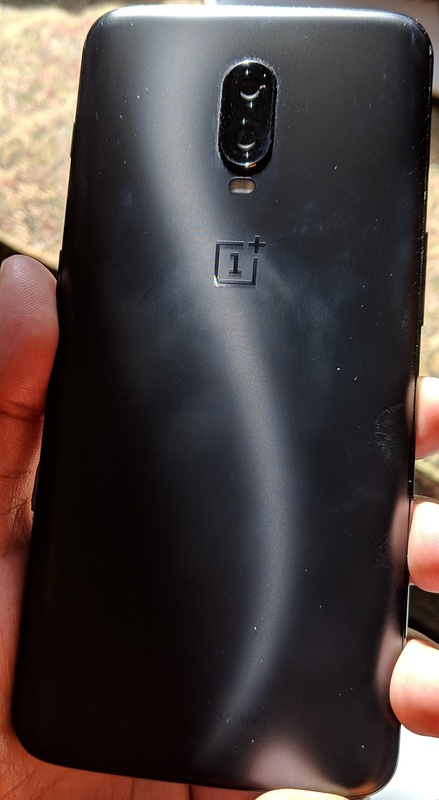 The Midnight Black variant smudges a bit, and I would prefer the build of the OnePlus 6 Silk White variant (please bring that back! ), but we’ve come a long way since the Google Nexus 4 days. They’ve even included the latest Gorilla Glass 6—though we’ll leave it to the experts to test the durability. The OnePlus 6T’s first-party cases are high-quality, as usual. I particularly love the Kevlar and Sandstone protective cases. Battery life is incredible. I look at spec sheets (have practically memorized a few of them) so much that I was skeptical of the “only” 400mAh bump in battery capacity. Even with an hour of Google Maps + Google Play Music streaming, 2-3 hours of Reddit/Google Chrome, 1 hour of video streaming, 1 hour of PUBG Mobile, and the rest using Twitter/Discord/Telegram/XDA I was easily able to hit 9 hours of screen-on-time. I usually don’t use my phone much for gaming or watching videos (I had to force myself to do so for this review), but I was astonished by how well the OnePlus 6T lasted me throughout the day. Performance is, once again, stellar. OnePlus’ software tweaks on top of the Qualcomm Snapdragon 845 platform make for a great user experience. OnePlus, being one of the pioneers of packing large amounts of RAM on their devices, hasn’t skimped in the memory department this year either. There are no issues with memory management here. 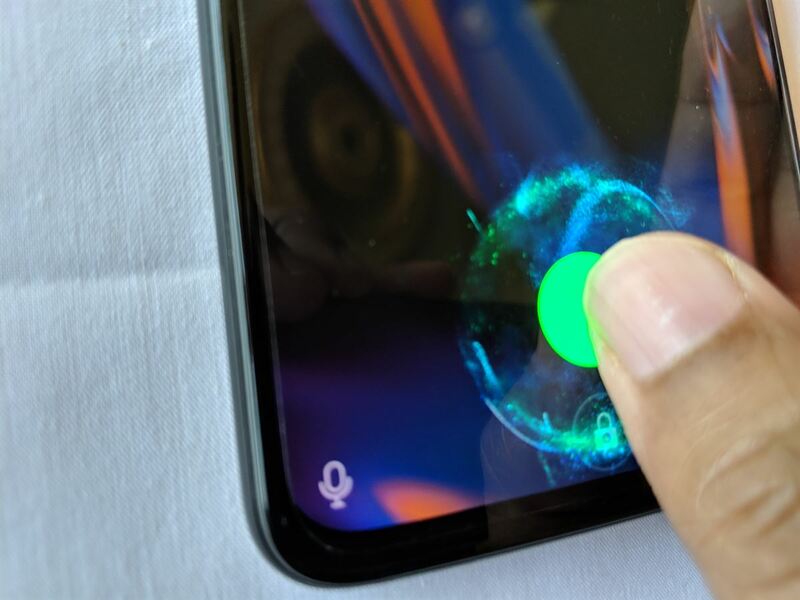 The in-display fingerprint scanner solves an issue I’ve had with the OnePlus 6—having to pick it up just to unlock it! I have some issues with it, which I’ll expand on below, but I believe that it’ll take some time to adjust to the new Screen Unlock feature. For now, Face Unlock compliments the new scanner quite well. OxygenOS is still my favorite Android experience, even more so than the “stock Android” UI in Android Pie for the Google Pixel 3. 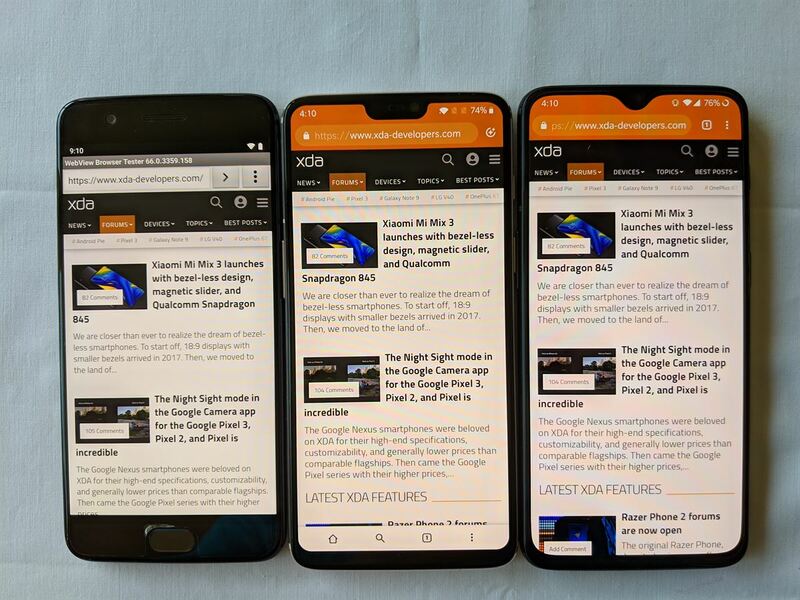 OxygenOS’ fullscreen gestures are superior to Android Pie’s gestures, OxygenOS has a built-in dark theme, and OxygenOS’ various modes like Gaming Mode, Reading Mode, Earphone Mode are genuinely useful. Samsung Experience offers an overwhelming amount of customization while Google is only recently starting to utilize their ML prowess for innovative, non-camera related software features, so it’ll take some time for another software experience to dethrone OxygenOS for me. Dash Charge Warp Charge Fast Charge (they still haven’t settled on a name) is still incredibly fast. I’m able to nearly fully charge the OnePlus 6T in about a 1 hour and 15 minutes. With Qualcomm’s next Quick Charge bringing 32W charging and the Huawei Mate 20 Pro’s absurd 40W Super Charge 2.0, I’m hoping that Dash Charge 2.0 will be ready for the challenge. The OnePlus 6T is a developer-friendly device. The bootloader is easy to unlock as always. You don’t need a bootloader unlock code from OnePlus. I personally can’t wait to root and install Magisk Modules once more. There’s one notable exception, however. The T-Mobile variant cannot be bootloader unlocked until you pay off the device. No wireless charging support. OnePlus said that wireless charging just wasn’t fast enough for their standards, but wireless charging technology has improved recently. The Google Pixel 3 supports 10W wireless charging while both the Razer Phone 2 and Huawei Mate 20 support 15W wireless charging. I expect the next OnePlus to support it. No IP rating. OnePlus reassures us that the OnePlus 6T is water resistant and can survive an accidental drop in the sink or splash during rain. But, an IP rating tells us exactly what we can expect in terms of water and/or particle resistance. Sorry, but I’m not taking any chances! No Type-C Bullets included with the device. I know some of you were expecting me to say “no headphone jack,” but I’ve honestly stopped caring after having used the Pixel 2 XL and Pixel 3 XL. 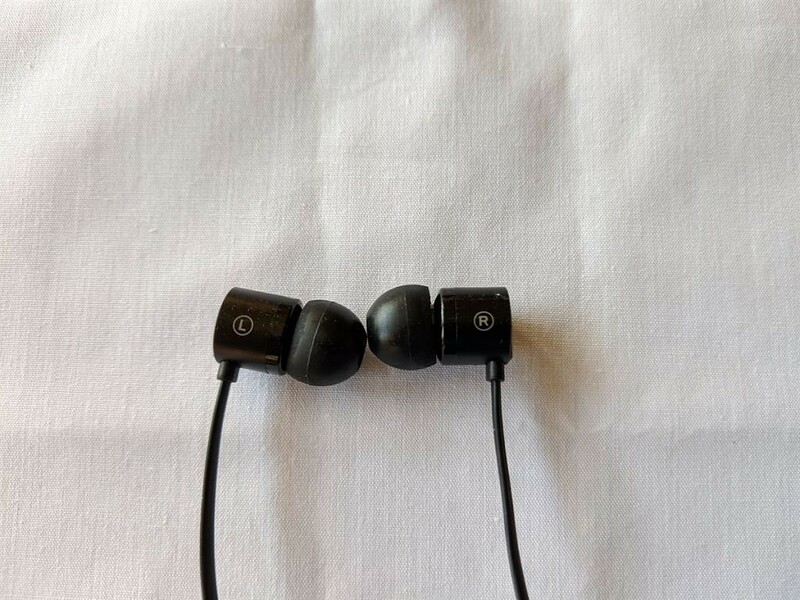 But, it would have been nice to see the new earbuds included with the OnePlus 6T. Price creep. The OnePlus 5T started at $499 and the OnePlus 6 started at $529. The OnePlus 6T starts at $549. The slight price hike makes sense with the inclusion of the in-display fingerprint scanner, but how long can the price of their flagships increase before users turn to cheaper alternatives from Xiaomi? OxygenOS’ delayed notifications for apps like Hangouts and Slack. This has been an issue plaguing OxygenOS for years (Arol Wright on his OnePlus 5T, Adam Conway and myself on the OnePlus 6, and now the OnePlus 6T). We still don’t know the cause or a definitive fix. Like the Google Pixel 3, OnePlus has also removed the notification LED. 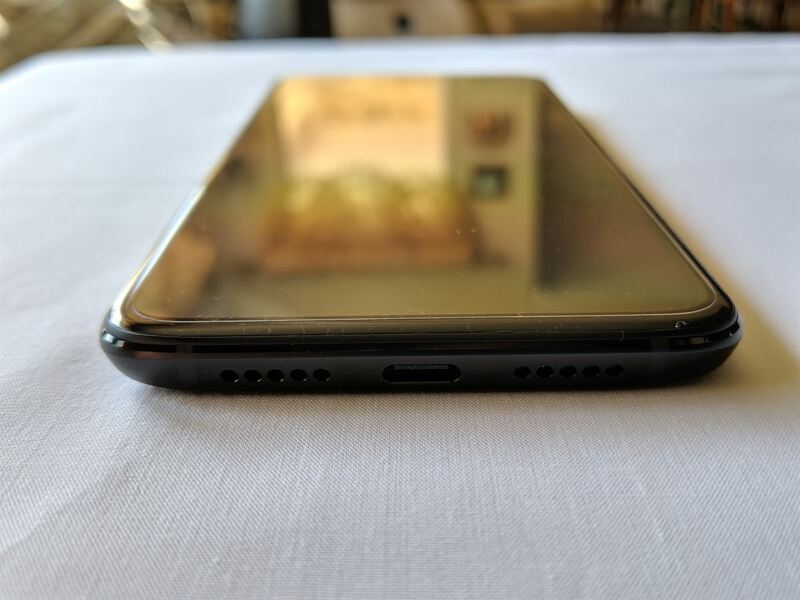 Unlike the Pixel 3, however, the OnePlus 6T doesn’t have an always on display feature. For a phone with high-end specifications across the board, it’s odd that only USB 2.0 is supported. As I begin to travel more often, I am starting to play and/or transfer files from a USB OTG drive. Here’s a table showing the full specifications for all variants of the OnePlus 6T (click/tap to expand). LTE Features Supports 5xCA, 64QAM, 256QAM & 4x4MIMO. 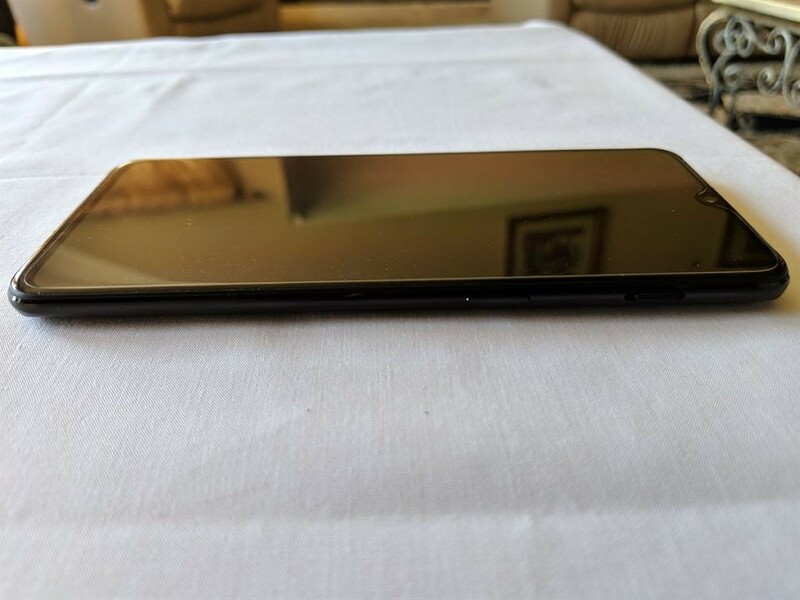 About this review: I was provided the US/EU 8GB RAM + 128GB storage Midnight Black OnePlus 6T for review. The review unit of the OnePlus 6T was provided by OnePlus and arrived at my home on the afternoon of October 24th. Thus, I have had about 4 days with this unit. For this reason, my thoughts on the device’s battery life and performance will not be very detailed until I can perform further analysis. I will also defer the full display analysis to Dylan Raga, though I will offer my thoughts on the display quality. I am also holding off on evaluating the camera quality until I can put together a few more devices to do a proper image comparison test. Lastly, all images in this article have been compressed to improve page load speed for those on limited connections. If you wish to view the uncompressed images, please click here. Each OnePlus 6T model has a glass body, but the Midnight Black variant has a matte finish which makes the 6T feel less slippery in-hand. According to OnePlus, there’s a “0.1mm-layer of film” with a “jagged texture” that produces an “S-shaped line” when the device is reflected under light. You can see this effect in the last photo in the gallery below (it’s not that subtle and quite easy to replicate.) I appreciate the coating that OnePlus adds to their smartphones—I am not a fan of how slippery the older glass smartphones were. 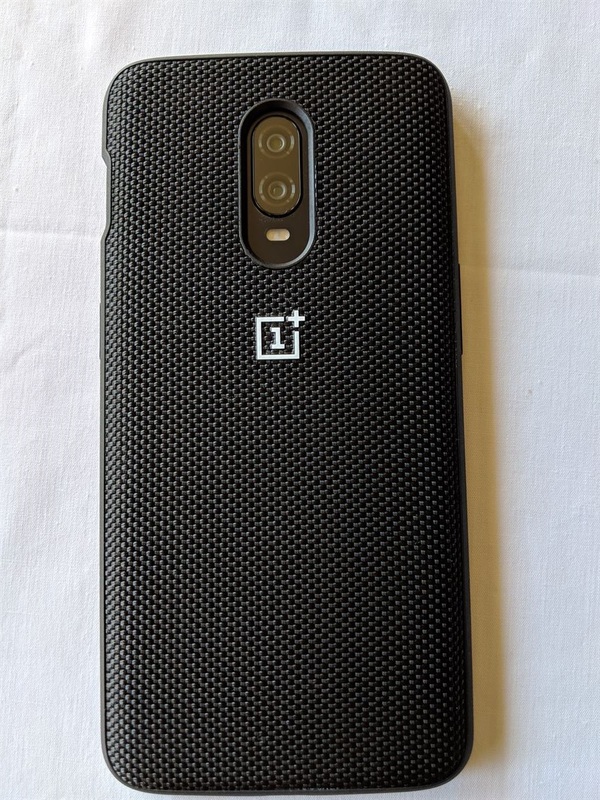 If OnePlus didn’t offer such great first-party cases (more on that later), I would probably use the OnePlus 6T without a case. Next, let’s talk about the sensor placements and ports. 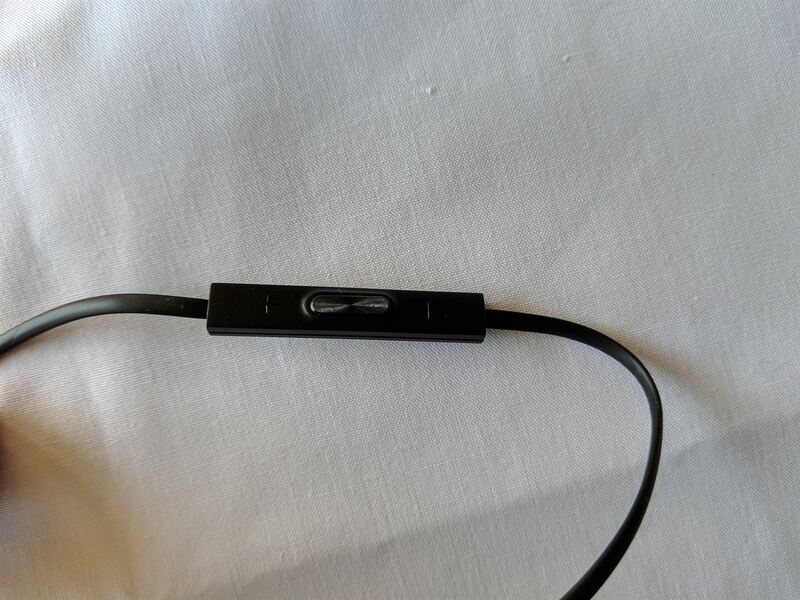 Yes, there’s no longer a 3.5mm headphone jack on the bottom. In its place is a 400mAh larger battery. 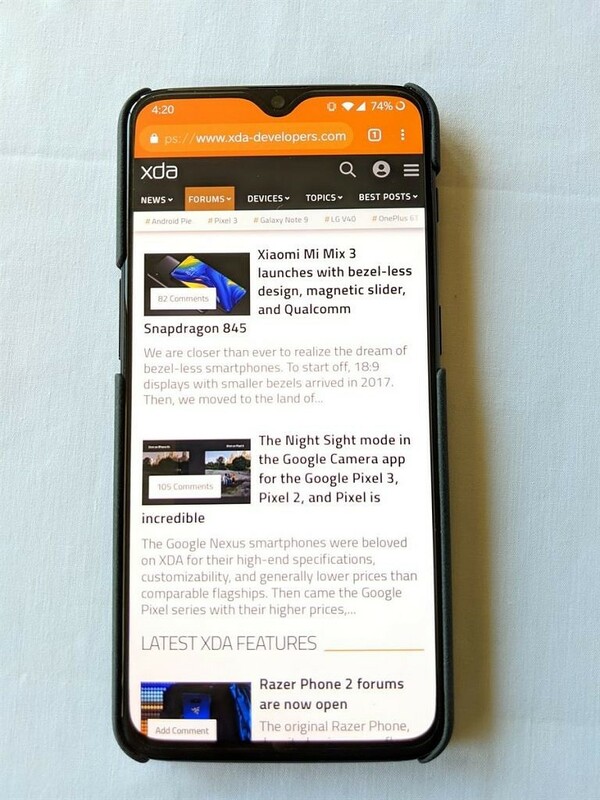 Another missing feature is the notification LED; it used to be housed in the OnePlus 6’s notch but the OnePlus 6T’s notch is too small for that. I personally was not a heavy user of the notification LED on the OnePlus 6 (I didn’t even notice it was gone on the OnePlus 6T until 2 days after I received the device), but I think OnePlus should have re-introduced the Always on Display they removed in the OnePlus 6’s first update. 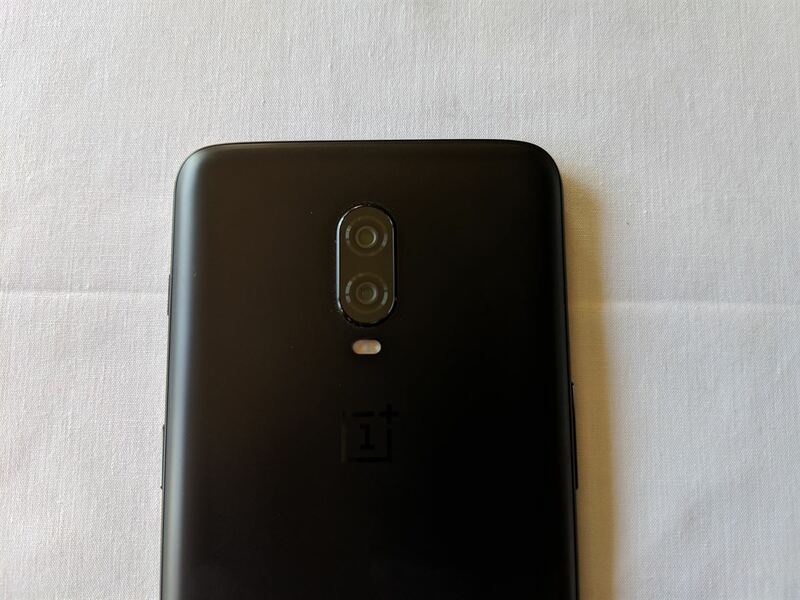 The front-facing and dual rear cameras are the same modules from the OnePlus 6, but there’s no longer a fingerprint scanner on the back. Instead, it’s embedded underneath the display—but we’ll talk more about that in a separate section. Lastly, the buttons. 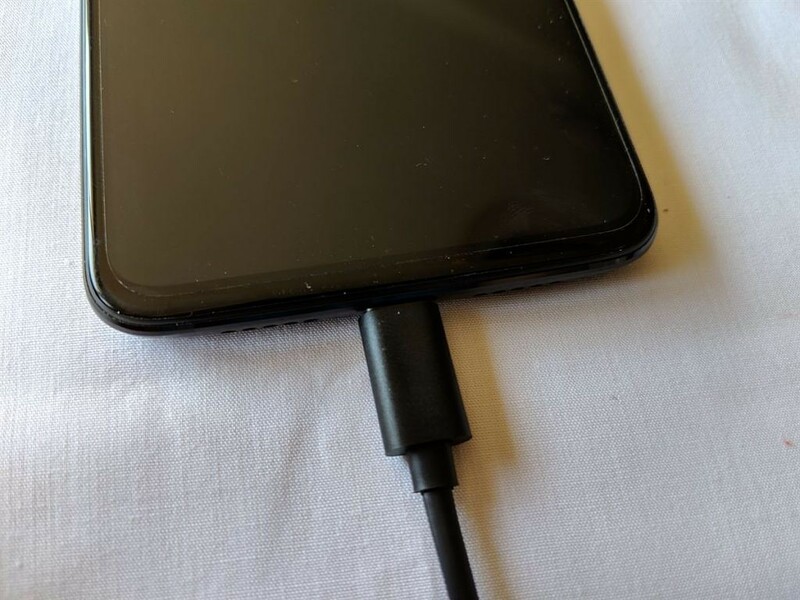 The volume rocker, power button, and alert slider are all positioned in the same general location, but the power button has been slightly lowered on the OnePlus 6T to make it easier to reach. It took me some time getting used to the new power button position since my muscle memory caused me to keep reaching higher, but I like this decision from OnePlus. If you still haven’t found the alert slider useful, then nothing about the OnePlus 6T will change your mind about it. 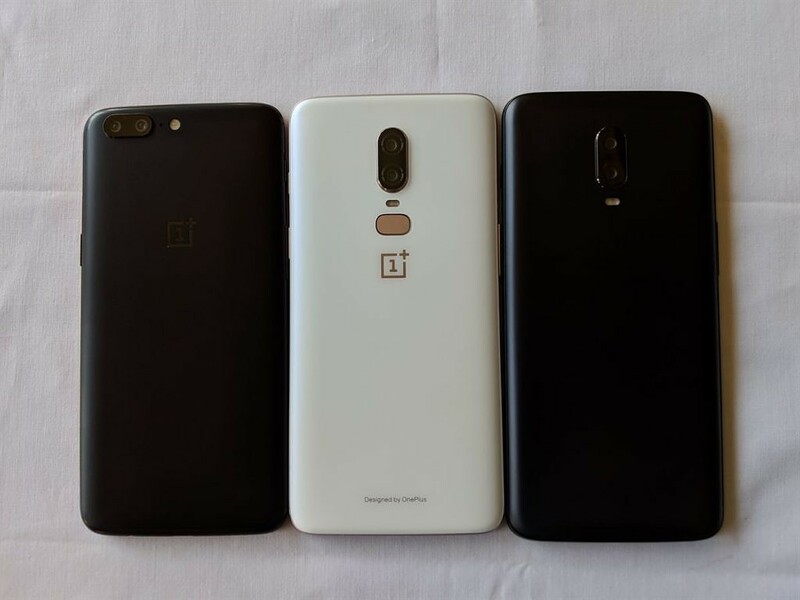 Just to show how far OnePlus has come in terms of design, here are side-by-side photos of the OnePlus 5, OnePlus 6, and OnePlus 6T. The OnePlus 5 was the last OnePlus device with a physical home button that doubled as a fingerprint scanner. 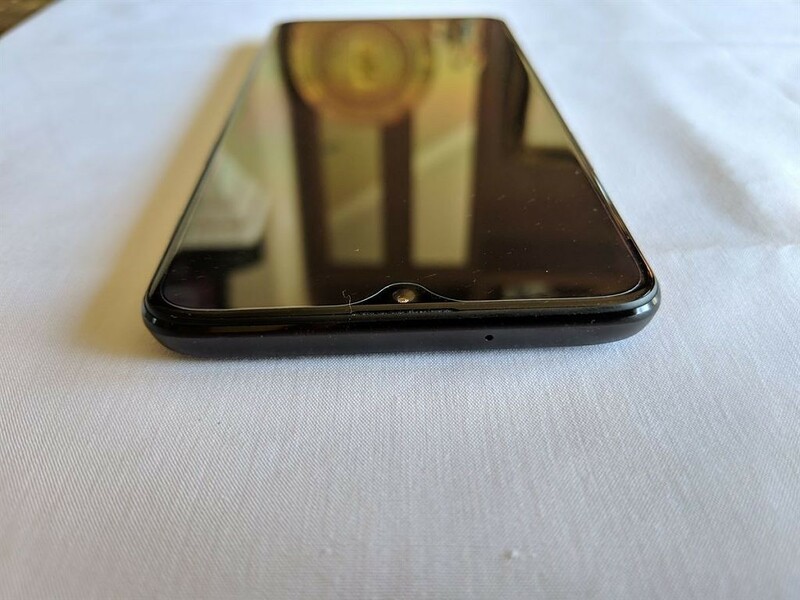 The OnePlus 5T moved the fingerprint scanner to the rear and got rid of the home button on the bottom, while the OnePlus 6 did the same but also extended the display area by adding a notch. Now, the OnePlus 6 has brought back a front fingerprint scanner by embedding it under the display. 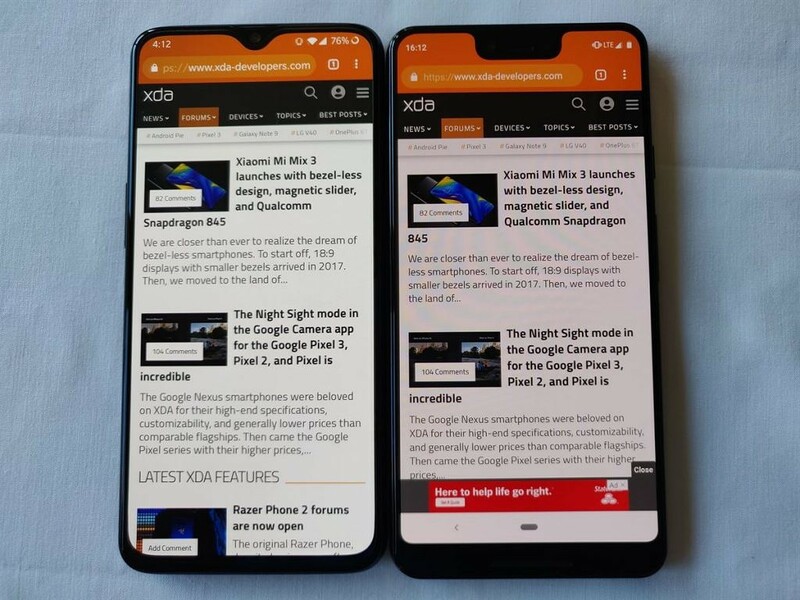 As a bonus, here’s a side-by-side of the OnePlus 6T and Google Pixel 3 XL. You can clearly see the difference in design here. The Pixel 3 XL has a much larger bottom bezel and notch which are used to house two large speakers and a dual front-facing camera. The OnePlus 6T has a 6.41-inch Optic AMOLED display donning the front of the device, while the OnePlus 6 has a 6.28-inch Optic AMOLED display. There’s actually a very slight bump in resolution here—2340×1080 versus 2280×1080— to account for the additional screen area, but it’s not something you would ever really notice as the pixel density remains virtually identical. Both devices support HDR video in YouTube at up to 1080p, and Widevine L1 support is included for HD videos in Netflix. I’m no display analyst nor do I own any equipment to properly analyze them, but I installed the Display Tester app below to and did some subjective comparisons between the OnePlus 6, OnePlus 6T, Google Pixel 2 XL, and Google Pixel 3 XL. I set the Google Pixel 2 XL and Google Pixel 3 XL to their “natural” display modes while I set the OnePlus 6 and OnePlus 6T to their “DCI-P3” modes. During my brief testing, I saw that the OnePlus 6 and OnePlus 6T fairly close in terms of maximum brightness—perfectly usable under Texas sunlight. Both OnePlus devices were brighter than the Pixel 3 XL which was itself brighter than the Pixel 2 XL. 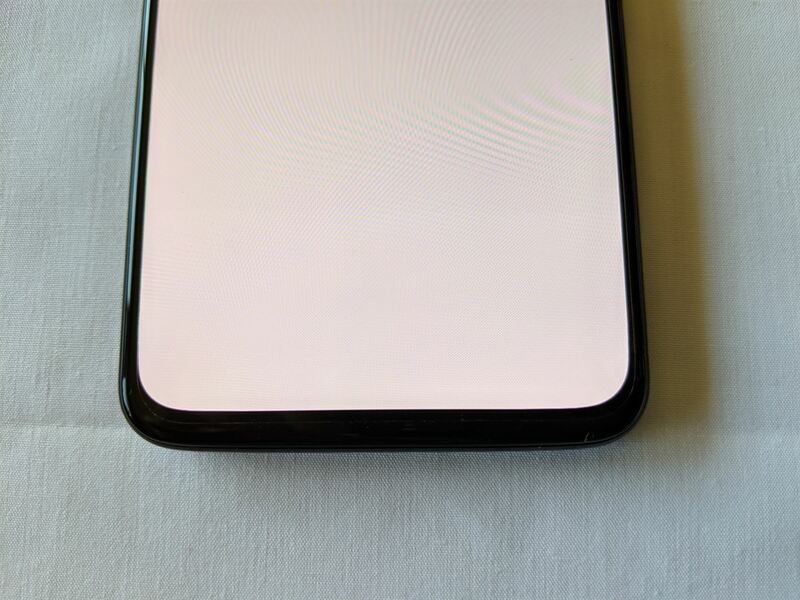 When viewing a solid blue color at an angle, the OnePlus 6 and OnePlus 6T both started to show some purple-ish colors but it wasn’t too significant. Fortunately, there’s no noticeable blue shift at an angle which was a problem that plagued the Google Pixel 2 XL. There’s also no “black crush” effect which would make it hard to view parts of the screen in low brightness levels. Lastly, the Display Tester app indicates that the OnePlus 6T display, but not the OnePlus 6, supports Wide Color Gamut. This is something Dylan noted in his OnePlus 6 display analysis, so I’m hoping to read more information for his follow-up on the OnePlus 6T display. Since it’s on the front of the device, you don’t need to lift up your phone to use it like on the OnePlus 5T or OnePlus 6. The fingerprint scanner isn’t always active, though. To get around this, you can use one of three features: ambient display lift-to-wake, single tap-to-wake, or double-tap-to-wake. All three features will bring you to the ambient display where you’ll see the fingerprint icon centered about an inch above the bottom bezel. Like any other fingerprint scanner, it works with the existing APIs so you can use it for your banking apps, password managers, etc. It has no trouble picking up my fingerprint in dark rooms. The OLED screen lights up beyond the maximum user-allowable brightness using the special “High Brightness Mode” that’s found on devices with Samsung OLEDs, so the light can reflect off your finger even if there’s not a lot of ambient light. It’ll support gestures—eventually. The reviewer’s guide mentions that you can hold your finger on the Screen Unlock icon after unlocking to show a “customizable app shortcut bar.” You can then move your finger to select an app to launch. I couldn’t find this feature on my device, so I’m assuming it’s still in the works. 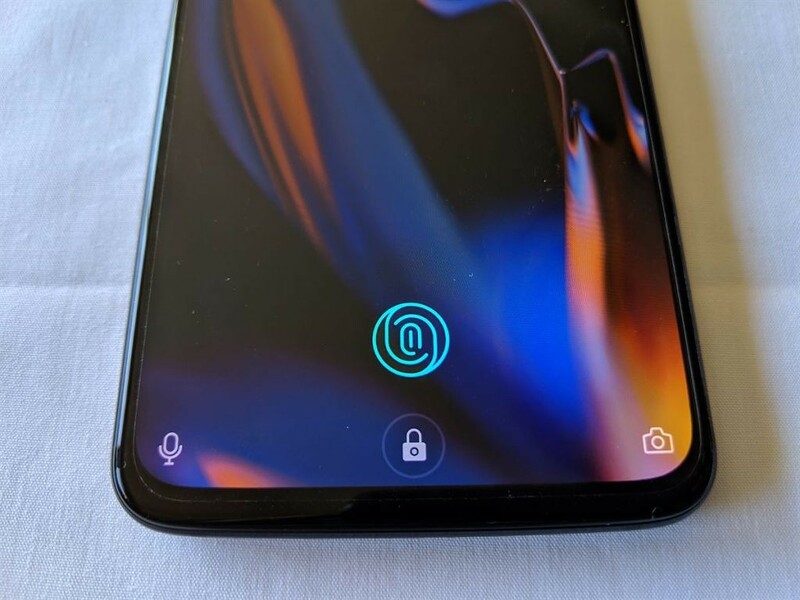 Since the OnePlus 6 lost fingerprint gestures, it’s nice to have Screen Unlock on the OnePlus 6T do more than just unlock your phone. Face Unlock complements it really well. The few times when Screen Unlock fails to recognize my fingerprint while I’m holding the display, I don’t have to frustratingly keep retrying because Face Unlock has already unlocked the phone for me. It’s not as fast as the fingerprint scanner on the OnePlus 5 or OnePlus 6. There have been times where I sit my finger on the display and it takes a few hundred milliseconds or a second to recognize, whereas it was always instantaneous on the OnePlus 5/5T/6. I think this is because the in-display scanner is less sensitive to partial fingerprints, but I’ll have to play around with adding more fingerprints to see if the sensitivity can be improved. It requires a bit of precision on your part. I can unlock the OnePlus 6 without looking, but I have to look where I’m putting my finger on the OnePlus 6T. After spending some more time with the OnePlus 6T, my muscle memory will probably adjust so I don’t think this is too much of an issue. 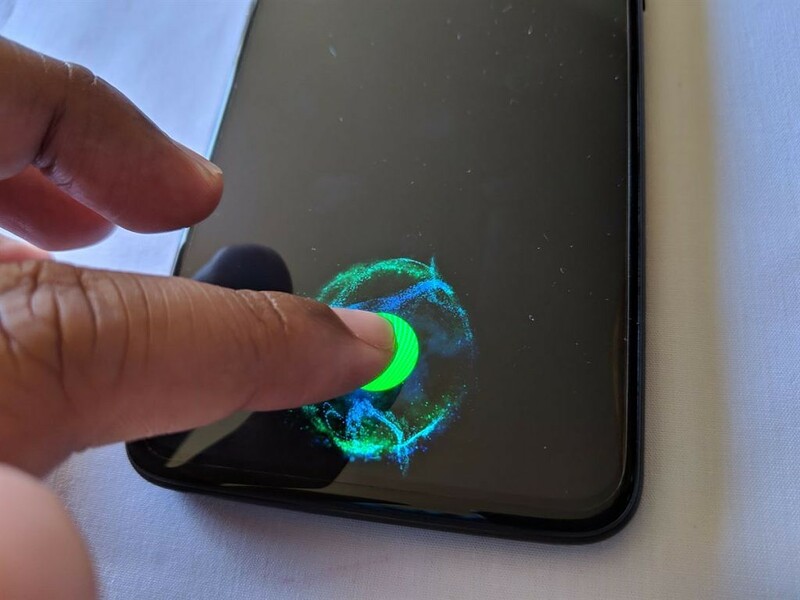 Optical in-display fingerprint scanners like on the OnePlus 6T may have issues detecting your finger when it’s wet or the surrounding temperature is below 5°C. My fingers are usually dry but the OnePlus 6T was able to recognize my semi-wet finger after a quick drying from a towel, which is something I’m sure a lot of people will try. The temperature in my area usually never gets that low, so I can’t test how accurate the sensor is in cold weather. In-display fingerprint icon on the lock screen. Pressing the in-display fingerprint icon while on the lock screen. 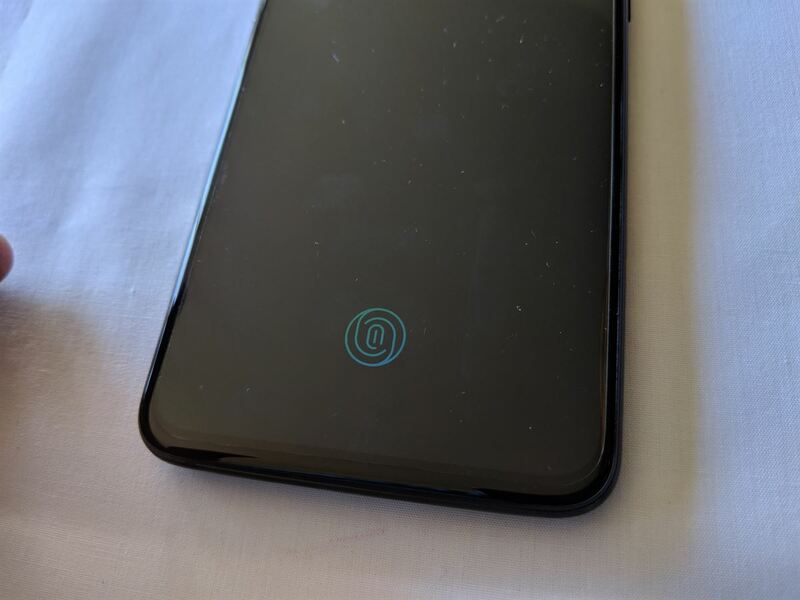 In-display fingerprint icon on the ambient display. Pressing the in-display fingerprint icon while on the ambient display. Here are the setup and setting screens for Screen Unlock. In settings, you can enable the previously mentioned lift-to-wake or single tap-to-wake gestures. You can also choose between three different fingerprint animation effects. Here’s a screen recording showing off the three different animations. You can also see the three new live wallpapers which are activated when you unlock the screen using Screen Unlock. If you want to get the new wallpapers for your Android device or you want the live wallpapers on your OnePlus 6, check out this article. According to vendor files, the OnePlus 6T may have either an in-display fingerprint scanner module from Silead or Goodix. I can’t confirm which FOD module my OnePlus 6T review unit uses nor can I confirm if there is any performance difference. The OPPO R17 uses the Silead module, so I suspect the same is true for the OnePlus 6T. OnePlus is one of the few companies that bring most of their new features to older devices. They could have made Face Unlock exclusive to the OnePlus 5T even though it’s entirely software-based (with some tuning for the specific front-facing camera hardware), but they brought it to the OnePlus 3, OnePlus 3T, and OnePlus 5 in an update. Through their OxygenOS Open Beta program, you also get to test many of the new features that appear in the next device. The OnePlus 6T is no different in this regard. Even though it’s the first device to launch with OxygenOS 9 based on Android Pie, most of the features you’ll find on the device are “old” because they’ve already appeared on the OnePlus 6. Thus, we’re going to split this section into two. First, we’ll talk about the few new OxygenOS features for the OnePlus 6T, and then we’ll talk about all the useful returning features that you’ll find on older OnePlus devices. There are two new features that will first appear on the OnePlus 6T: a new gesture in the fullscreen gestures and “Smart Boost.” The new gesture is genuinely useful. It lets you swipe up and to the right to quickly switch to your previous app. Smart Boost, on the other hand, is a bit harder to analyze since we don’t really know how it works. We were told that the goal is to preload frequently used files and apps into memory for faster activation, taking advantage of the OnePlus 6T’s generous amounts of RAM. The reviewer’s guide states that app cold start times are improved by “5 to 20 percent” by “storing data from frequently used apps in the phone’s RAM.” Despite what the description in settings says, the reviewer’s guide states that Smart Boost is currently applied to gaming apps with additional compatibility and improvements planned for the future. Again, we don’t know which apps/games it works on, how it works, and how effective it is. But we do know that the performance is excellent and the available memory on the OnePlus 6T is high, so Smart Boost is probably somewhat helpful. Here’s a video showcasing the new gesture…on the OnePlus 6. That’s right, the new gesture works just fine on the OnePlus 6! All you have to do is sideload the updated OnePlus Launcher, as linked in this article. Gaming Mode: Reduce distractions when gaming and optimize performance by closing unnecessary background apps and limiting network priority for other apps. Reading Mode: Shift the display to sepia and block notifications when reading. 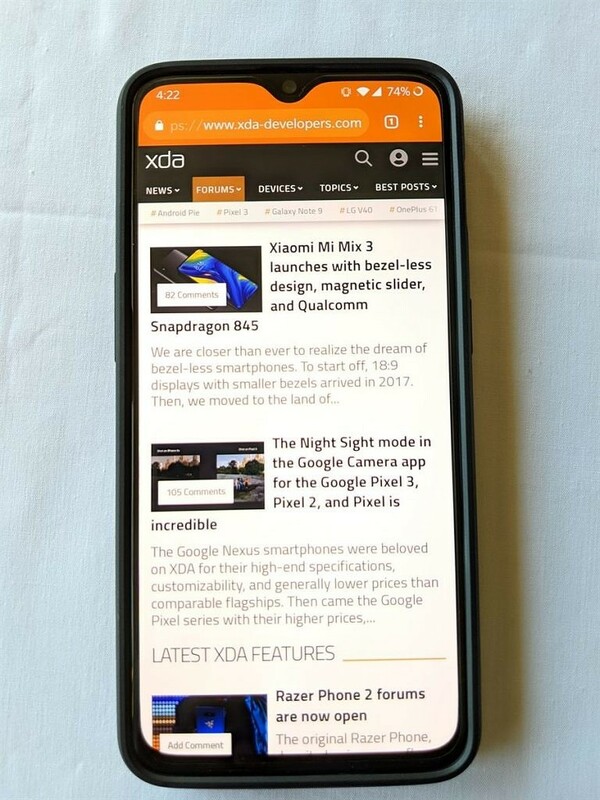 Fullscreen gestures: swipe up from the bottom left/right to go back, swipe up from the bottom middle for home, swipe up and hold from the bottom middle to open recent apps, and long-press on power button to open the Google Assistant. Offscreen gestures: double tap-to-wake or draw letters on the display with your fingers to control music, open camera, quickly record a video, quickly toggle the flashlight, open the Shelf, or launch any app. Per-app fullscreen display customization, in case some apps look weird with the device’s aspect ratio. A system-wide dark theme that applies to the settings, System UI, and most OxygenOS stock apps. There are a lot more features which you can check out in the gallery below. I never got the chance to use this feature, since my last daily driver before the OnePlus 6 was the Google Pixel 2 XL, but since I switched from the OnePlus 6 to the OnePlus 6T I was finally able to test OnePlus Switch. It supports migrating the launcher layout, wallpaper, downloads, apps, and even app data. It sent about 8.5GB of data from my OnePlus 6 over to my OnePlus 6T review unit in only a few minutes. As advertised, my launcher layout, wallpaper, internal file structure including downloads, installed apps, and in many cases even my app data were restored. I still had to log back into banking apps and most social media apps, but setting up the OnePlus 6T was really quick thanks to OnePlus Switch. The first software release for any new device will have bugs, and here are some of the ones I found during my use. First, the OnePlus 6T allows you to take screenshots in apps that you normally shouldn’t be able to. For example, you can take screenshots in an Incognito Chrome tab, a banking app, or a video streaming app. Thankfully, screen recordings of secure video apps like Netflix or Amazon Video don’t work as the video is simply missing from the recording. This is a bug that appeared in the OnePlus 6’s OxygenOS Open Betas and one that I already reported to them, so I hope this gets fixed in a future update. Second, if you’re watching a YouTube video and enter picture-in-picture mode then try returning to fullscreen viewing, the status bar will get stuck and there’ll be an empty white space on the left-hand side. I couldn’t replicate this on the Google Pixel 3 XL or OnePlus 6, and it doesn’t always happen on the OnePlus 6T so I’ll need more time to investigate this bug. Screenshot of an incognito Chrome tab, which normally isn’t possible to obtain without root. Lastly, traces of HydrogenOS’ aggressive network restrictions to combat the mess in the Chinese app ecosystem still exists in OxygenOS. For users, that means some apps might have delayed notifications such as Hangouts or Slack. Numerous XDA writers and community members have had this issue on older OnePlus devices, and I still experience this on the OnePlus 6T. I really hope OnePlus prioritizes fixing this. The battery life was the biggest surprise for me. The OnePlus 6T’s battery life is amazing. Now, I only got to use the device properly for 2 full days. I received the device mid-afternoon on October 24th and set it up that day. I used the device as my daily driver for October 25th and October 26th, which are the two days I recorded. On October 27 and 28th, I ran some tests and wrote this review which means I could not test the battery life on those days. Despite only testing the battery life for two full days, it’s clear that the OnePlus 6T will easily last you through a full day, maybe even two depending on your usage. On October 25th, I used Reddit/Twitter/Discord/Telegram/Slack/Google Chrome all for a total of about 4 hours of screen-on-time. I don’t only read text in these apps, either. I browse images and watch videos pretty often. I also use Gmail, Hangouts, Trello, Feedly, etc. for about 2 hours. Then I played PUBG for around 30 minutes, watched YouTube videos for around another 1 hour, and used Google Maps and Google Play Music simultaneously for another 1 hour. I’m estimating, of course, but at the end of the day the OnePlus 6T lasted about 9 hours and 12 minutes of screen-on time. October 26th was basically the same, except I used social apps for about an hour less while also watching some streaming videos online for an hour. I would expect the OnePlus 6T to easily last me 8.5-9 hours of screen-on time on average, which I could easily extend to 2 days if I wasn’t in “review mode.” I did not enable any battery saving or memory optimization features that weren’t already on by default. 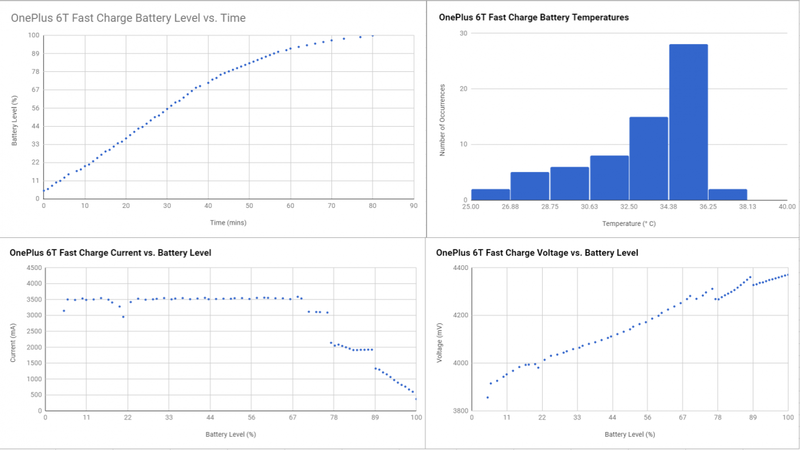 Now, the following data was admittedly acquired a bit unscientifically (I used a Tasker script and standard Android APIs to record the data rather than any hardware meters), but I think it does a good job showing off how good OnePlus’ Fast Charge technology still is. We did a detailed analysis of the various fast charging technologies last year in which we crowned OnePlus’ the best, but since then Huawei has unveiled SuperCharge 2.0 and OPPO has unveiled Super VOOC. OnePlus’ tech might not be the best on the block anymore, but it’s probably faster than what you were already using (unless you’re coming from an older OnePlus device.) I recorded two sets of data but am only showing one for brevity. In both cases, it took about 80 minutes to charge the OnePlus 6T from 5% to 100%. During that time, the device never got too hot so you can still use it while charging. That’s one of the main reasons we like OnePlus’ Fast Charge, and the data shows you won’t be disappointed provided—you have access to a supported charger since it’s proprietary! There’s really not much to say here that doesn’t also apply to the OnePlus 6. The OnePlus 6T is a strong performer in all areas including in subjective fluidity, gaming, benchmarks, and memory management. I’m not a strong believer in showing off synthetic benchmark scores, so you won’t get that here. I will say that my OnePlus 6T performs about the same as the OnePlus 6, which means it’s an excellent performer. I can swipe between apps using gestures without lag, open older apps without redraws, multitask without games being killed in the background, etc. The reason I’m not going into very much detail here is that a full performance review comparing the device with the Google Pixel 3 XL will take more time, and we’ve already shown off the OnePlus 6’s performance using our scripts and in graphically demanding games like Fortnite Mobile. There is one thing I highly recommend when you get the OnePlus 6T, and that’s to enable 0.5x animation scale in Developer options. It really makes your device feel faster, even though it’s just speeding up the animations. In terms of loudness, the OnePlus 6T is louder than the OnePlus 6 at full volume which I found to be barely louder than the Pixel 3 XL. In terms of clarity, though, the OnePlus 6T and OnePlus 6 sounded less clear at maximum volume. By popular request, I tested how much the phone vibrates when the speaker is blasting music at full volume. That’s because the recently released Pixel 3 XL vibrates rather heavily when the speakers are blasting music. In comparison, the OnePlus 6T barely vibrates at full volume, and it’s even more dampened when using a case. Since the OnePlus 6T doesn’t have a 3.5mm headphone jack, OnePlus is now selling Type-C Bullets earbuds alongside their Bullets Wireless earbuds. Our review of the Bullets Wireless was quite positive, but since I don’t personally own the Bullets Wireless I can’t compare the quality between the Type-C Bullets and the Bullets Wireless. I’m no audiophile, so I simply followed the recommended test here and watched this video to determine the audio quality. The audio output is quite loud—about the same as on the OnePlus 6—and the bass can be turned up by using the “OnePlus Bullets Type-C Earphones” Sound Quality Enhancement preset in the Audio Tuner preferences. Though, I prefer leaving that option off. OxygenOS has a built-in equalizer in the Audio Tuner settings, so you can easily adjust the quality to your liking. They’re nice earbuds, though I wish they were included with the device. I had no problems with GPS locking onto my location or losing track of me while I was using Google Maps during both days of my regular use. Call quality and signal were excellent while I was on T-Mobile’s network. Both VoLTE and VoWiFi are fully supported in my area. I also briefly tested the OnePlus 6T on Verizon’s network, and only got about 19Mbps down. In comparison, I was getting 55Mbps with the same Verizon SIM in the Pixel 3 XL and about 78Mbps while using my T-Mobile SIM in the OnePlus 6T. Your mileage will vary depending on your location, but don’t expect the same speeds as devices sold directly through Verizon. The OnePlus 6T supports band 13 so calls, text, and data work fine, but the lack of full data speeds is the major issue that I came across. 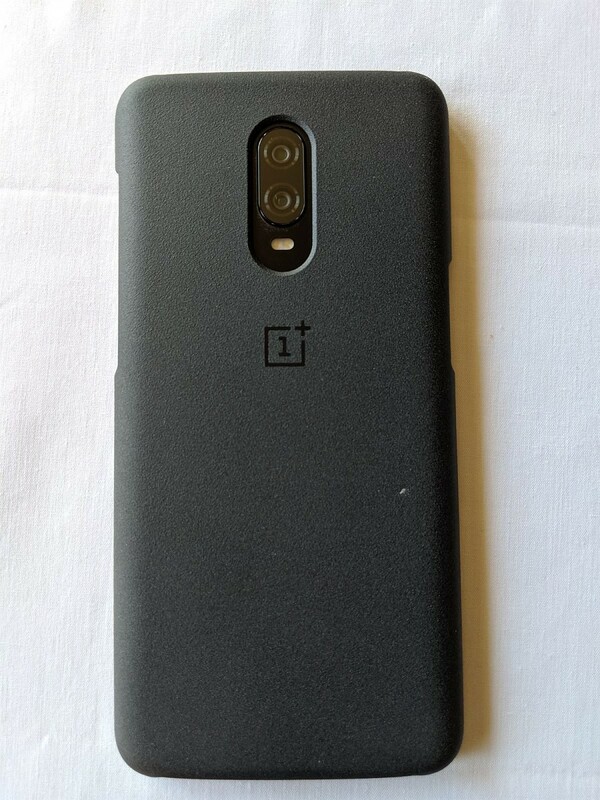 I mentioned this before, but I love OnePlus’ first-party cases. I rarely buy cases from the manufacturer since third-party cases from Amazon or eBay tend to do the job. But these cases are high-quality and feel great in the hand. Here are some pictures of the Red Silicone Protective Case, Sandstone Protective Case, and Nylon Bumper Case. If you’re looking for a smartphone that performs well with little to no hiccups or lag, has excellent battery life, and clean Android Pie software, then you can’t go wrong with the OnePlus 6T. You’ll also get fast wired charging that doesn’t cause the phone to burn your hands while you’re using it, a premium glass build, a nearly bezel-less, vibrant OLED display, and an in-display fingerprint scanner. All this for the first time on an American carrier. For our readers in India, you may find some cheaper options out there. But ask yourself if the trade-offs you have to make when buying the cheaper option are worth it. Despite intensifying competition, I’ve heard from many community members who are sticking by OnePlus because of their track record in catering to the enthusiast community. For me, the choice is either Google or OnePlus—and if I’m looking to save a few hundred bucks, I’ll pick the OnePlus. Lastly, about Part 2 of this review. Since the OnePlus 6 and OnePlus 6T share the same camera configuration, the only thing new for me to test is the Nightscape and Studio Lighting effect. If you’re interested in seeing our thoughts on the OnePlus 6’s camera, check out our article following the OnePlus 6’s major camera update, our article comparing the OxygenOS camera versus the Google Camera port, and parts 1 and 2 of our smartphone camera comparison. In a follow-up article, I’ll be checking out the OnePlus 6T’s camera quality as well as comparing the device’s UI and gaming performance against the Google Pixel 3 XL. Where can you get the OnePlus 6T? Now that you’ve read our detailed review of the OnePlus 6T, you may be wondering how much it costs or where you can get it. If you’re in the United States and you use T-Mobile, we suggest you check this article for details. Otherwise, we have the pricing data for the unlocked OnePlus 6T and its accessories below. 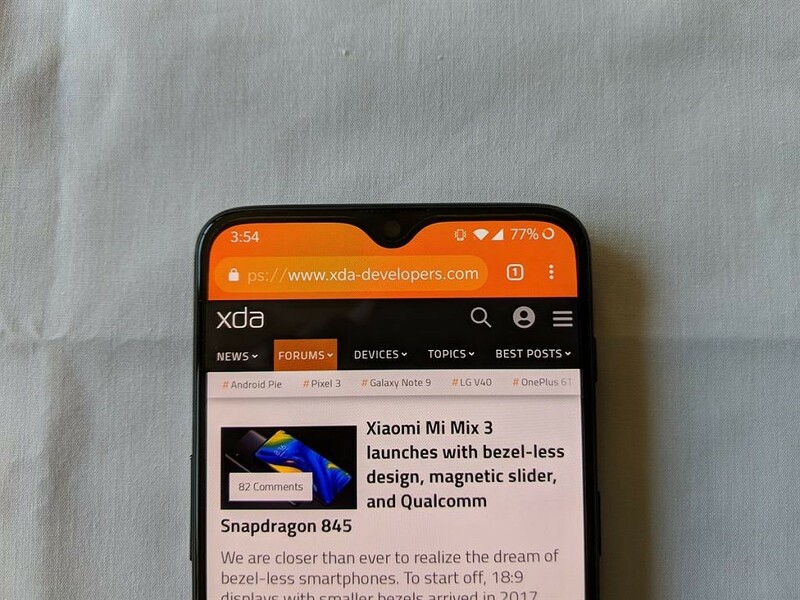 Lastly, we highly recommend you check out the XDA forums for the OnePlus 6T. In the coming weeks and months, you’ll be able to check out the latest developments like custom kernels, ROMs, Magisk Modules, themes, etc. You can also converse with fellow owners of the device for the best tips, accessories, and seek help if you ever have a problem. A correction was made to this article on 10/30/18 to note that the OnePlus 6T does not have a second, bottom-firing speaker. Rather, OnePlus has added a faux speaker grille on top of the microphone hole to match the speaker grille on the bottom left side. The subjective observation made about the volume still stands.